Maier became Bottega Veneta’s Creative Director in 2001, and has since led the once financially embattled company out of its crisis and on to record profits. In the last few years, its turnover rose by double digits: to 1.13 billion euros in 2014. On the other hand, Maier carefully and slowly nurtured the idea for this atelier located in a former private villa, giving himself seven years for the planning and refurbishment stages. The son of an architect and a native of southern Germany, he executes any project he works on to utter perfection, just like he did in his previous roles as a fashion designer at Sonia ­Rykiel and Hermès. 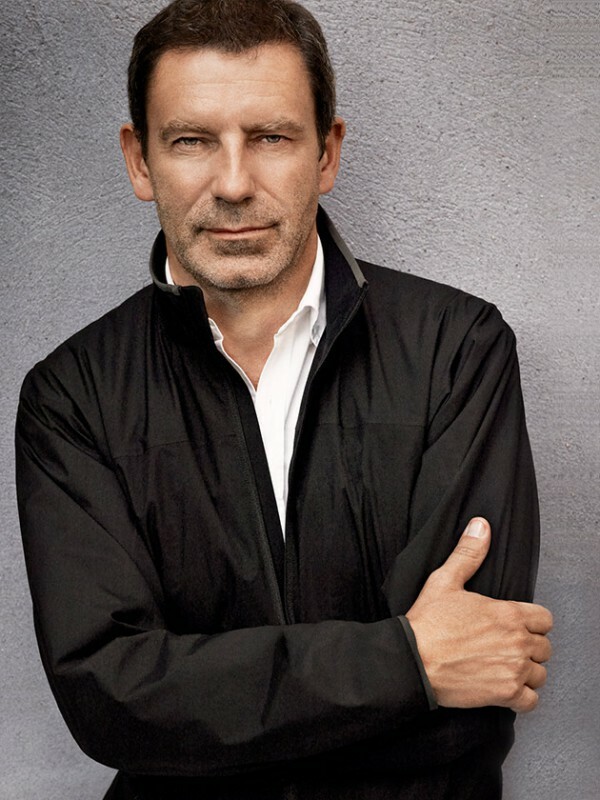 In his current position as Creative Director, he has an entire universe to design: from the Bottega Veneta fashion ranges for men and women to leather key rings; from the home collection which includes furniture, china and accessories to flagship stores from Milan to Shanghai. In terms of area, the country estate in Vicenza between Verona and Venice is his largest project: it includes 55,000 square meters of parkland. 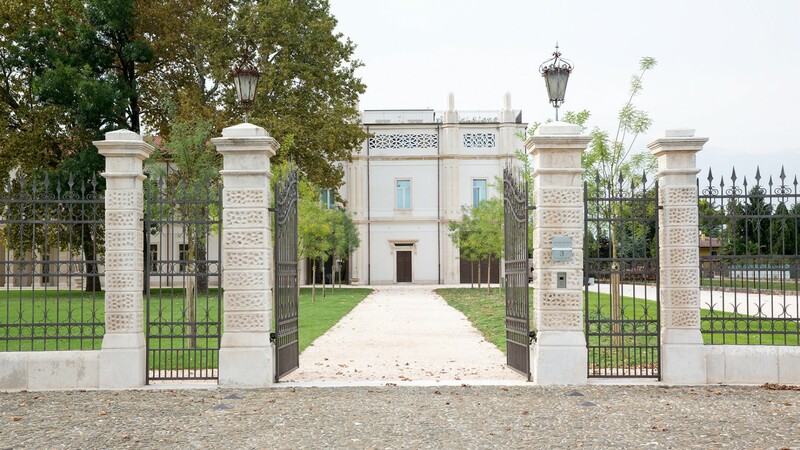 Poetically speaking, the “Villa Montebello” is the heart of Bottega Veneta. In the atelier, which is suffused with light, the best Italian leather craftsmen are working on the prototypes, which are based on Maier’s sketches, prepared on the drawing board of his New York studio. “I am totally convinced that we achieve better results when we make things comfortable for our staff,” said the Creative Director in a recent interview. He worked carefully on the floor plan and on the outdoor spaces, using the existing, mature trees. He also put in bicycle parking for the approximately 300 employees and even designed the lights and tables inside the building – as well as deciding on the mixture for the terrazzo floors. The result is a complete work of art: sustainably renovated with building materials sourced from the region, and boasting a photovoltaic and a rainwater recycling system. 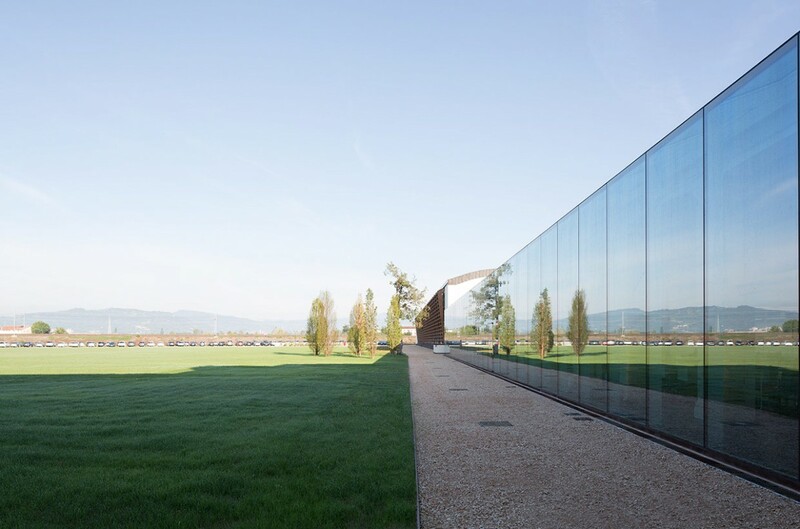 For this, Bottega Veneta was the first fashion company in the world to be awarded the LEED platinum certification by the U.S. Green Building Council. With its purist, timeless ambiance, the building certainly is typically Tomas Maier. 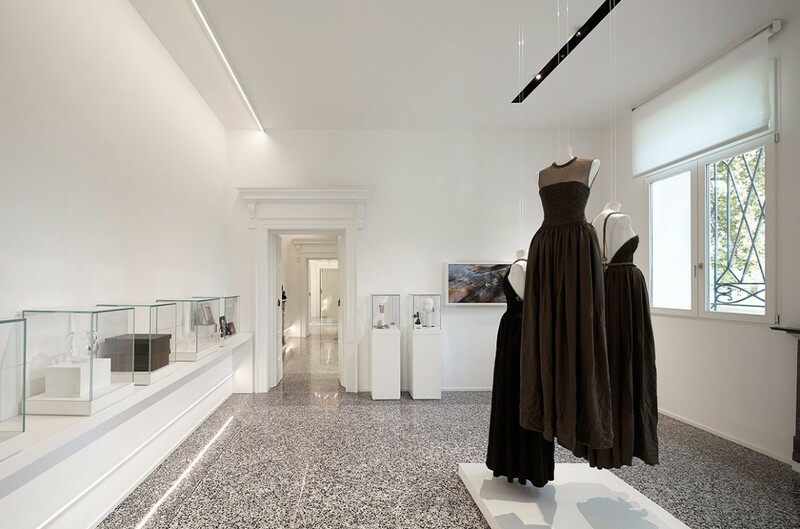 Last but not least, the fashion designer also proves, with little effort, it appears, how stylish a “Bottega Veneta” – a “Venetian workshop” – can look these days. As the morning sun floods into the atelier, white blinds immediately slide down silently to block the glare. 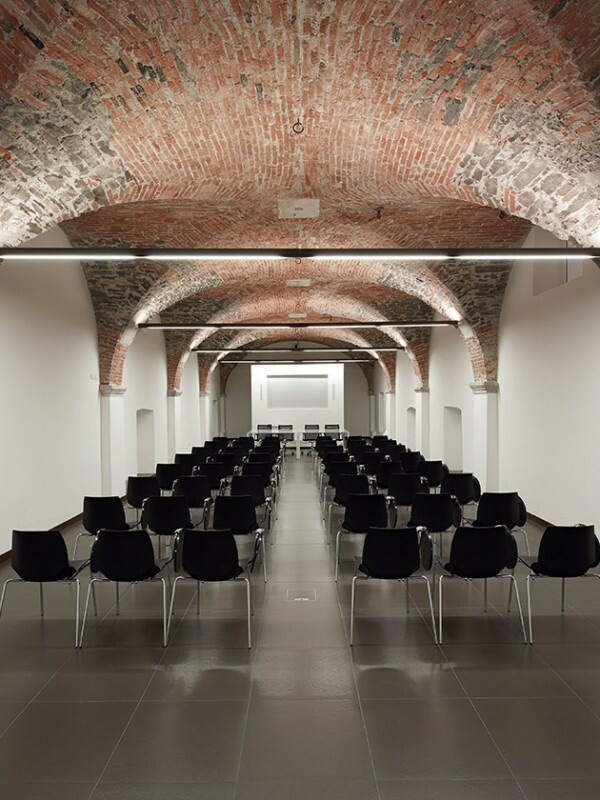 The long, high-ceilinged room is the former colonnade, which now boasts a large glass frontage and has the open atmosphere of an advertising agency. It is quiet and the scent of leather is in the air. At the large white desks, employees work alone or in pairs, totally engrossed in their tasks. 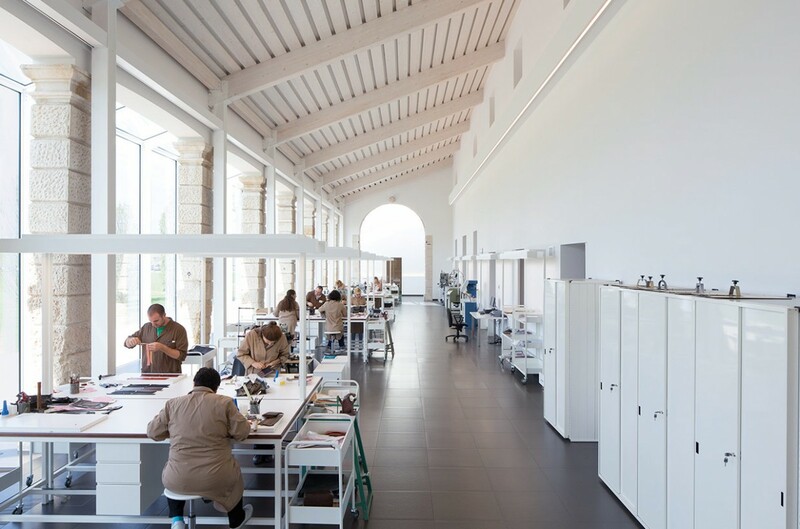 Since 2006 Bottega Veneta has also been running a school for leatherwork, where the passion for the craft and traditional techniques are passed on to the young apprentices. Last year alone, 640 students learned all about high-end leather craftsmanship at the school. Tomas Maier’s “Scuola dei Maestri Pellettieri” continues a tradition that has long been a well-kept secret of the profession: many tricks of the trade, details and procedures are still passed on the traditional way – orally, from master to apprentice. The Nappa and calf leather, which are being cut, woven and stitched together, are treated with the utmost respect during the entire production process. A master craftsman stands in front of a pile of gray, tanned hides and checks their quality. He picks one, engaging all his senses in the process: scanning every piece with a firm gaze, then gingerly sliding his fingertips over them, and finally pulling at the edges to carefully check the elasticity. “We need specialists with an eye for the subtlest nuances,” emphasizes Tomas Maier. The choice of leather and the craftsmanship make every bag by Bottega Veneta unique. Prototypes, as well as custom-made models and samples are produced here in the atelier. The handbag collections are manufactured in larger numbers in the Veneto, Tuscany and Abruzzi regions, and in Naples. Propped up on the table is a model of a half-finished bag. Dozens of metal clips hold the leather strips in position. The “Cabat” is the label’s most famous model and its signature product. It takes two experienced craftsmen two days to finish each of the bags. Using the traditional “intrecciato” technique, they weave together two layers of extremely soft Nappa leather. Maier started his career at Bottega Veneta with the rediscovery of this model. “I always demand the impossible of my employees,” he is reported to have said. This is how he spurs them on to perform at their absolute best. The result: the “Cabat” does not require a lining because there are no features which need to be hidden. It’s a wonderful example of perfect craftsmanship. Costing roughly 3,000 euros, it’s also a masterpiece that is made to last. At lunchtime everyone meets in the cafeteria. Glass walls allow the room to be flooded with daylight; wide doors lead onto the roof terrace. Here, too, Maier paid particular attention to excellent workmanship. You walk on wooden floorboards, relax under white parasols, and enjoy gazing off into the distance. At his home in the U.S., Maier spends as much time as possible outdoors. He loves nature and the simple life. Maybe he wanted to help his employees appreciate it, too, and help them relax – between work cycles – in the fresh air, on the terrace or in the park.